The second annual Kalamazoo Mud Run is an exciting fitness event with various new elements to offer participants on Saturday, June 8, 2013 at Kalamazoo Community Church, located at 2435 N. 26th, Kalamazoo, MI 49048. 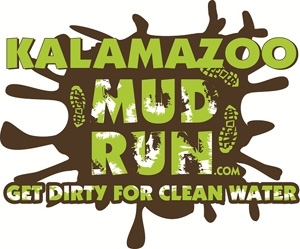 The Kalamazoo Mud Run consists of a 5K course for solo competitive, team competitive, solo fun runners (age 12 and up). There will also be a shorter Kids Mud Run for kids 6-12 years old. The trail-run style course is a 5K course including obstacles and many opportunities to get wet and muddy. Participants can expect to be challenged with obstacles such as hills, wall climbs, mud crawls, mud trenches and lots of water.